When I started studying for the LSAT, I didn't know anyone else who'd taken it before. >>>> Take a bunch of practice tests. >>>> Get depressed about my low scores. God, I was so stupid. Taking exam after exam and expecting my scores to improve didn't make much sense - especially when I hadn't really learned the concepts the LSAT tested. 2. Get the best resources to find out everything I needed to know. 3. Buy a bunch of practice tests. 4. Follow my plan of attack. 5. Then take a bunch of practice tests (using that plan). SEE HOW MUCH MORE EFFECTIVE THAT IS???!!! The problem is, how was I supposed to determine the best plan of attack without knowing anything about the LSAT? I looked at random blogs and forums, but a lot of the advice I read conflicted with other advice. After a lot of frustration, sleepless nights, and mindless video watching, something in me finally snapped. I bought every LSAT book I could find and every practice LSAT ever released. I studied on and off for a year and wasted a lot of time. Eventually, I learned what I needed to know in order to feel comfortable going into the test. After I cracked the LSAT code, I started working as a private LSAT instructor. It took me a while to realize this, but it's not enough to show people how to solve specific LSAT questions. It turns out that knowing EXACTLY what you should be doing is one of the most important things necessary to get a higher LSAT score. Having a concrete plan of attack is where it all begins. I made these schedules because I wished I had a real plan of attack when I was studying. It would've been a LOT easier if I knew exactly how to use all the practice tests and other books. Not only would I have been able to study a lot more efficiently, but I would have been able to stop procrastinating and finally take the LSAT a lot sooner. These lay out SPECIFICALLY what to do. They tell you exactly what you need to be doing every single day. * if you want to finally start your LSAT studying but are unsure of how to take that first step. * if you've started studying but lacked the guidance necessary to stick with it. * if you need a regular schedule to keep you accountable and make sure you are on track. I’m going to be pretty straightforward about how this is priced: My personal philosophy is that when someone buys a schedule from me….the average person should be able to increase their score 5-10 points from it the FIRST MONTH. And 10-15 points from their investment in 2-3 months. AND THAT HAPPENS ALL THE TIME! The 1-month, 2-month, 3-month, 4-month, and retake schedules are each $19.97. The 5-month, 6-month, and 7-month schedules are each $24.97. It's a small price to pay for a whole lot of guidance. Seriously. You probably spend way more this on Starbucks every month. Thousands of LSAT students have used these since I first published them. However, I keep them all up-to-date, so they're relevant for anyone studying to take the LSAT in 2019 and beyond. "I purchased your three month day-by-day schedule and followed it to the best of my ability while working full time. In the end, I managed to increase my score from 148 to 161, above my target score of 160. Your website, blog posts and responsiveness to my questions was absolutely essential to my success. Thank you so much for doing what you do." 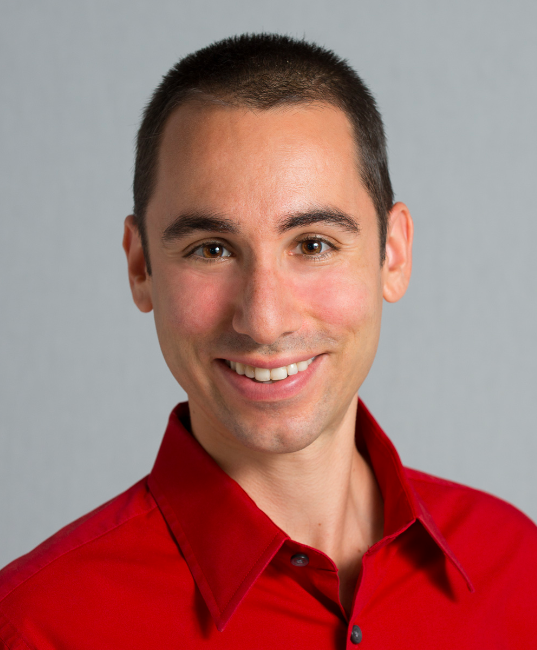 - Anthony R.
So with such a tiny investment a bunch of these students improved their scores by 10-20 points or more over a few months by following my study schedules. I'd say that's a PRETTY GOOD INVESTMENT!!! Obviously, these results are on the higher end of the spectrum. Some people like Michela and Dan in the examples above will improve 15-20 points in a few months, and others will improve much less than that. My goal is that the AVERAGE person ends up with a 5-10 point score increase from following the schedule for one month, and 10-15 points from their investment in 2-3 months because of my help. This is the insane commitment I want to live up to with my schedules. And not only that, but they can also help you feel like you're in control of your LSAT studying process, rather than the LSAT controlling YOU. They'll also make sure you're not missing out on some valuable article I've already written that could hold the key to the score you need. You can spend the next few months reading random blog posts and forums, or you can spend less than $25 to have it professionally explained for you. Let me save you the trouble of figuring out exactly what to do, so you can just get down to business right away. Use these schedules to spend less time worrying about whether you're on track, and spend more time studying, sleeping, and maybe even seeing your friends every once in a while. Still not convinced? Keep in mind that I'm offering all LSAT study schedules with a 125% money-back guarantee. 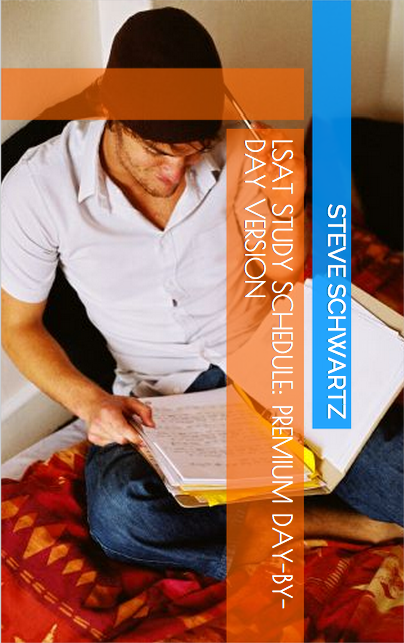 Try the LSAT study plan of your choice without risking a thing. Show me you're doing the exercises and not getting results. If you don't love it, email me within 30 days, and I'll give you a full and complete refund PLUS 25% of what you paid. You can even keep the study plan at my expense. I've made these literally risk-free to try. And if they don't work for you, I'll even give you money as my punishment for having wasted your time. Why would I offer a guarantee when I don't have to? I can offer this because I've rigorously tested my study plans with thousands of students. I know they work, and I want this to be a no-brainer for you. -These are PDFs available for instant download after submitting payment via PayPal. -If you're already registered with PayPal, the download link will be sent to your PayPal email address. Otherwise, it'll be sent to whichever email address you submit. -The 1-month schedule assumes you're able to intensively study for the LSAT full-time. -The other schedules all assume you're studying at least 10-15 hours per week. Of course, the more time you put in, the more you’ll get out. -There are significant differences between the day-by-day schedules and the week-by-week schedules. The day-by-day schedules aren't just the week-by-week schedules divided by 7. -The longer-term day-by-day schedules include exclusive recommendations not found in the free week-by-week versions, especially on using the older PrepTests effectively. "Catch-up and review weeks" in the free week-by-week versions of the 5-month, 6-month, and 7-month schedules have been replaced in the premium day-by-day versions with recommendations on effectively using older exams. -I’ve created the retake schedule on a 3-month (12-week) timeline, but you can easily modify it for any time period depending on your specific needs. I include tips on how to do so on the schedule's first page. -Only use the retake schedule if you've already worked through one of the day-by-day plans. If you've prepped for the LSAT in the past by taking a prep class but haven't used one of the regular day-by-day plans, use the regular day-by-day plan, not the retake day-by-day plan. - The study schedules include tips on how to use of a variety of LSAT books because there are likely differences in the books that each of you already have and/or are willing to get separately. All that's truly necessary in order to benefit from this schedule are actual LSAT PrepTests, which must be purchased separately. (However, you can easily find affordable copies on Amazon.) I do strongly recommend that you consider at least some of the other books, depending upon your particular needs. Also, while you can certainly substitute other LSAT PrepTests for the ones listed in the schedules, it would be to your advantage to complete the newest exams before taking the LSAT itself. Remember, these are 100% risk-free. That means you can try one, then decide if it's right for you. If you don't love it, just show me you did the work, and I'll refund 125% of your money. But I'm confident these will help you improve your LSAT score and get into the law school of your dreams. The 1-month, 2-month, 3-month, 4-month, and retake schedules are only $19.97, and the 5-month, 6-month, and 7-month schedules are only $24.97. It’s weird how people will spend $60 on drinks at a bar, but won’t buy a book for less than half that amount that can change their life. If you think my price is fair, and the timing is right for you to start studying for the LSAT, then choose a schedule to get started. I'll immediately send it you via email. P.P.P.S. If you're NOT ready to start your LSAT prep...then please don't buy.